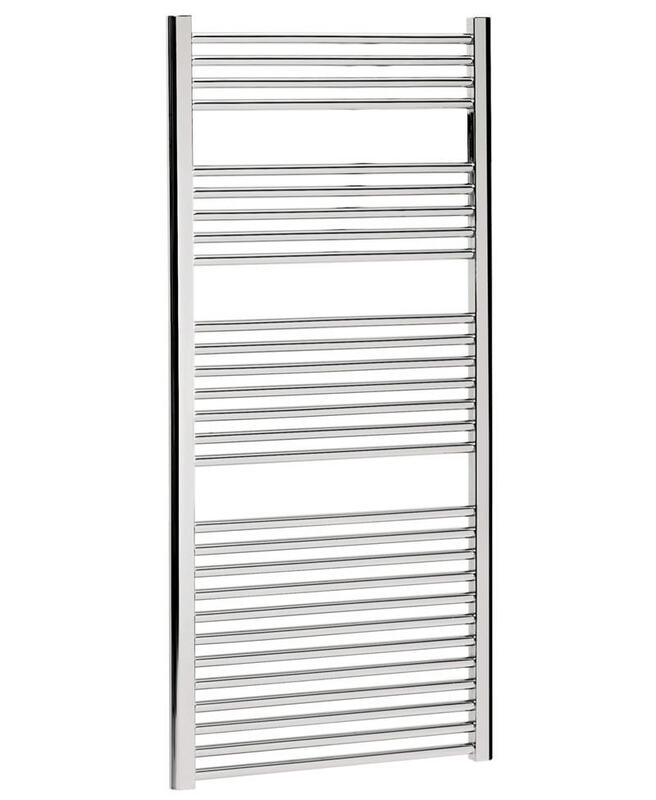 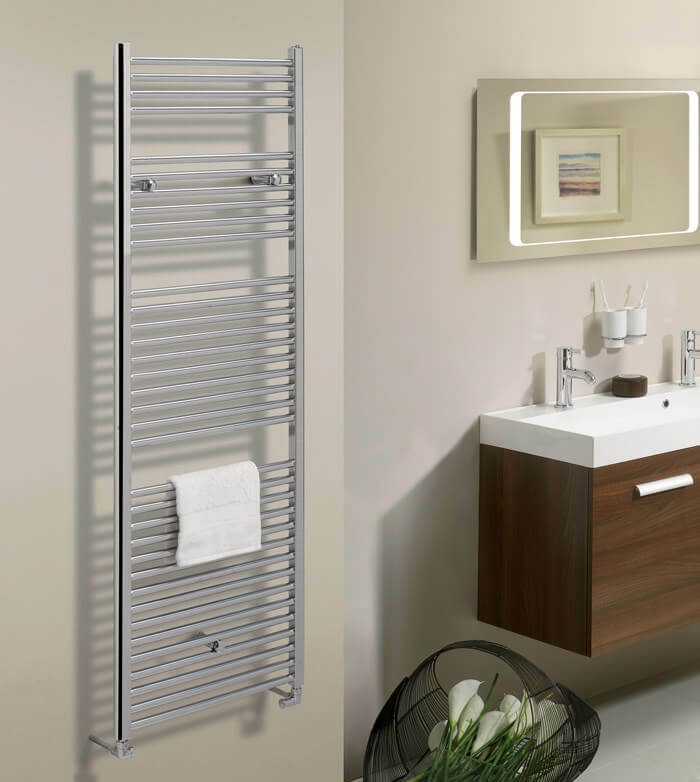 The chic and trendy Design Towel Rail from Bauhaus embodies what every modern bathroom aspire to be- cosy, comfortable, and sophisticated. 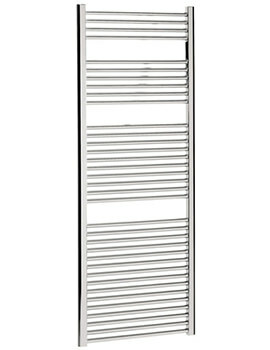 The enchanting bathroom adornment is made from supreme quality mild steel, for enormous durability. 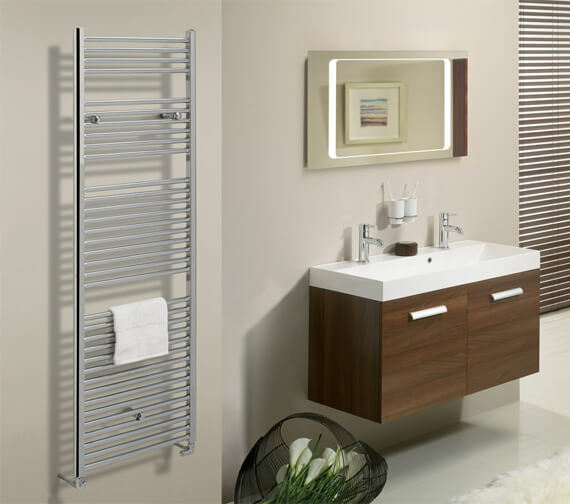 The gleaming straight towel rail lends warmth and comfort to your bathroom and provides complete cosiness in cold morning. 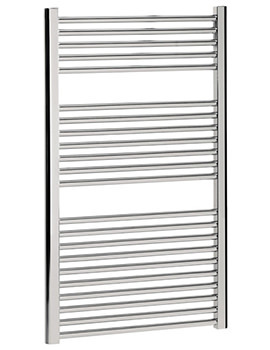 Reasonably priced, this classy creation is covered with a 5 year guarantee, against any manufacturing defects, from Bauhaus. 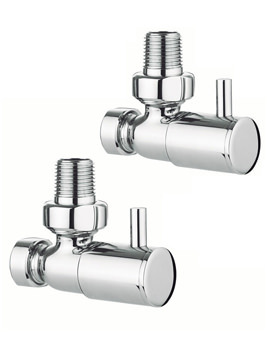 Angled, Straight or Corner Valves are available [See Option]. 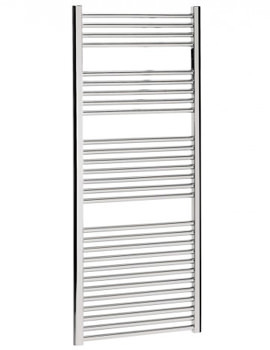 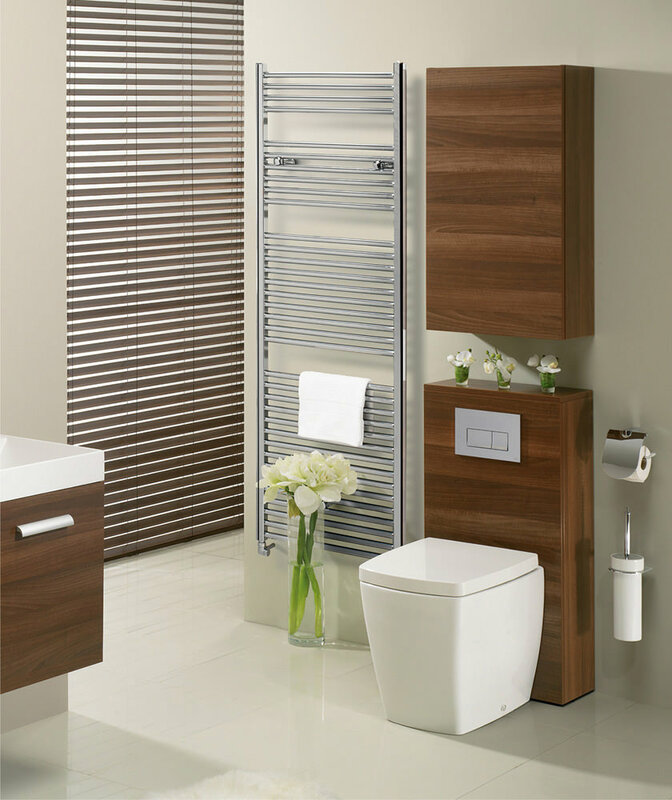 Smart, functional and decent quality towel rail.